18th Century table with oak swags and molding moulding and ribbon and reed legs - Ornapedia SFG. Description: 18th Century table with oak swags, moulding, and ribbon and reed legs. 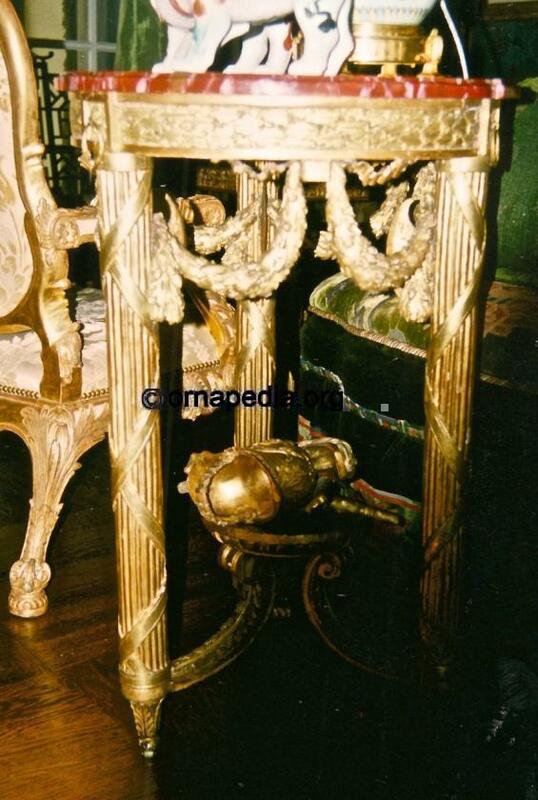 Read more about 18th Century table.